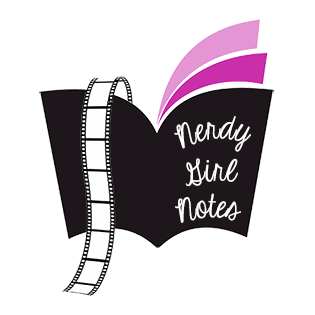 Nerdy Girl Notes turns seven years old today! If you would have asked me back on April 2, 2012, what I thought my life would be like seven years later, that young woman’s predictions would have been very different from how things turned out. But all those years ago, I knew I wanted NGN and the incredible people who make up the little family surrounding it to be a part of my life for as long as humanly possible. And I feel so blessed to know that seven years later, even after so much of my life has changed, NGN is still here for me to share my hopes and fears and thoughts and FEELINGS with all of you—and even more blessed to know that so many of you are still here for me to share all of those things with. NGN itself is so different from what it was seven years ago. It’s gone through different stages (How did I ever review five shows a week?!) and chronicled different obsessions, but one thing remains the same: It’s a place that is driven by enthusiasm and love. I still love being able to write whenever inspiration strikes and the timing is right. And that’s why I wanted to take this opportunity to fill you in on what’s coming to NGN in the next few months! After what has felt like the longest hiatus ever, NGN is returning to weekly content starting the week of April 15th! I’ll be back with my final round of Game of Thrones Moment of the Week posts (and maybe more about the show as we lead up to its finale), as well as weekly posts about FX’s new limited series Fosse/Verdon. As a dancer, a musical theater fangirl, a choreographer, and a reader who devoured the Sam Wasson biography this is based on, I have been eagerly awaiting the show since its announcement last year and knew right away I had to write about it. I’m not sure what form my posts will take yet and they’ll be starting after Episode 2 (because I’ll be soaking in the magic in Walt Disney World during the premiere), but I can’t wait to share all of my Gwen Verdon feelings and Cabaret love with all of you. The fun will then continue into the summer with coverage of Big Little Lies and maybe some fun posts about movies, which I don’t write about enough around these parts. Needless to say, I’m feeling very inspired lately and ready to share that inspiration with you. And I can’t think of a better mood to be in on NGN’s “blogiversary.” This little corner of the internet was founded on the belief that everyone needs a place where they can unashamedly love things, and I’m so thankful that so many of you continue to embrace that mindset along with me. If you’ve been here for seven years or seven seconds, if you comment regularly or would rather remain an anonymous reader, if you visited for a specific show or have followed me through more fandoms than we can count—thank you. Thank you for your support, your encouragement, your humor, and your heart. Thank you for your insight, your honesty, your recommendations, and your inspiration. Most of all, thank you for your friendship. I never would have made it to Year Seven without my NGN Family behind me, and knowing I have you in my corner makes me excited every time I open a blank document and get ready to write. It’s been an unpredictable journey and a winding road so far, and I can’t wait to see where this year’s twists and turns and fangirl flights of fancy take us! Happy Galentine’s Day, you poetic, noble land mermaids! Galentine’s Day may have started as a fictional holiday created by my hero and ultimate life inspiration Leslie Knope, but it’s now become a day celebrated by women around the world who want to honor the ladies in their lives. Seeing this holiday grow from something shared only by our beautiful little Parks and Recreation fandom to a day that has its own decorations at Target has been incredible, and it brings me so much joy to know that so many people are taking time today to tell the women in their lives how special they are and to honor the power of female friendship (hopefully with lots of breakfast food). I’m so blessed to be surrounded by the smart, funny, passionate, protective, warm, and welcoming women I call my friends. They support me and surprise me; they’ve challenged me and changed me; and they’ve helped me embrace the best and most authentic version of myself. My female friends have been the great loves of my life to this point, and I can’t think of a better group of people to call my soul mates. And that includes all the brave and beautiful women I’ve met because of fandom—and NGN in particular. Over the years, this has been a place where friendships have formed both for me and completely independent of me (which is the coolest thing in the world). Even if our comment conversations aren’t as plentiful as they once were and even if our interests have diverged, I still treasure the moments and memories we’ve shared in this little place that I’ve called home for so long. The friends I’ve made through fandom are some of the best friends I could have ever hoped to have, and I love having a day to single out just how special you are. With that in mind, I wanted to take a page out of Leslie Knope’s playbook and tell all of you how amazing you are. It may not be a 5,000-word essay, but I want to take a moment today to shower each of you with a string of compliments that would make my sitcom spirit animal proud. So let’s have a LOVE POST! Here are the basic instructions as I remember them from my old LiveJournal days: Make a comment on this post with your username (and things like your Twitter or your Tumblr URL if you feel like people might know you better by those identifiers). Then, sit back and let others reply, telling you how much and why they love you. Finally, share the love! Reply to your friends’ comments on this post and tell them how awesome you think they are. Even if you’ve never posted at NGN before or think no one will know or remember you, leave a comment. I guarantee you’ll be glad you did. I’ll start things off below just so you can see how it’s done, and I hope that by the time this day of ladies celebrating ladies is done, the comments will be the best virtual Galentine’s Day party ever. Welcome, fellow TV fans, to NGN’s longest-running feature! This is my seventh fall TV season here at NGN, and I’m ready to once again share my viewing schedule with all of you. Today is the first day of fall, which puts me in the mood for pumpkin spice everything, long sweaters, and new television shows. Luckily, this week kicks off the official start of fall TV season, and while my schedule is a bit lighter than it used to be (due in part to both life changes and a bit of a down year for pilots and premieres), I’m still excited for so many of my favorite shows to be back. I hope this list inspires you to share your own fall TV schedule in the comments! I know that I’ve often used the recommendations shared in this post to try new shows that ended up becoming favorites of mine. And if you want to use my list to find new shows to try, I’ve listed the dates, times, and networks the premieres are airing on, and any new pilots I’m checking out are highlighted in pink. I know this post isn’t quite the behemoth it once was, but I also have plenty of returning favorites coming back in early 2019, which means it might finally be time for me to do a midseason one of these in a few months! Until then, I hope this post reminds you of your favorite shows, introduces you to something new you might love, and inspires you to share a show you love that you can’t believe I’m not watching yet. If you’ve spent any time around these parts, you probably know of my deep love for Josh Dallas. He was the reason I became hooked on Once Upon a Time as instantaneously as I did, and as such, I will pretty much follow him anywhere. I’m not usually one to sign up for shows that seem inspired by Lost (because I will always compare them—and they will almost always come up short), but I will buy anything Dallas is selling at this point. The trailer also made me feel as if this might be more of a sincere, relationship-driven story than one propelled only by its central mystery, and that’s always a kind of show that speaks to me. Although I might not watch it until I get back from my own flights to Disney World next month (What can I say, I’ll always be a nervous flier! ), it’s still on my list of pilots to try. The Emmys and I have had a volatile relationship ever since the days when Jennifer Garner (and perhaps even more egregiously, Victor Garber) were passed over for their work on Alias. There are times when surprise nominations and wins bring me endless joy—like Kate McKinnnon’s first win. But there are also times when shocking snubs send me into fits of rage—like the fact that Amy Poehler never won an Emmy for playing Leslie Knope and Steve Carell never won for playing Michael Scott. Those last two names remind that an Emmy isn’t everything. Legendary performances and beloved television shows don’t need to have their time in the Emmy spotlight to mean something to both an individual and the TV-loving community at large. But it’s still nice to see your favorites win. With that being said, this has been a challenging prediction post to make. I’m too invested in some of the shows—especially one drama series in particular—to be completely objective (or even logical) in my choices. But the good thing is, I don’t really have to be. (That’s when not doing this for a living has its perks.) This year, I’m picking with my heart, so while you probably shouldn’t use my ballot as a key to winning your office pool, you should know that it’s a close look into where my heart will be on Monday night. (Side note: I HATE having the Emmys on a Monday night. It’s THE WORST.) And if you want an even closer look, you can follow along with all the evening’s fun—and probably emotional devastation and angry ranting—on Twitter, where I’ll be live tweeting starting around 6 p.m. EST! Without further ado, let’s get to the picks! My Thoughts: It’s my last chance to root for what I think is the most nuanced and unexpectedly powerful drama on television, so you better believe I’m going to pick it to win in pretty much every category its nominated for. But this is more than just a choice from the heart; I think it has a good—albeit, not great—chance to get some of that last-season love the Emmys sometimes like to dish out. While this category is probably a two-horse race between The Handmaid’s Tale and Game of Thrones, I want to believe there’s some goodwill in Emmy voters’ hearts for this moving portrait of marriage and parenthood wrapped up in a spy story that’s completely compelling in its own right. The show’s final season featured some of its most breathtaking performances and heart-stopping moments, and it was capped off by one of the most talked-about finales of the year. I hope the well-deserved praise for that brilliant episode leads to the Emmy glory this show has always deserved. My Thoughts: Although I don’t watch Atlanta (There’s too much good TV to watch! ), I’m no dummy; I know it’s something special. I also know its second season was highly praised, and I’m always a supporter of Donald Glover winning all the awards. While I’d love to see GLOW take home this award (and am already hoping for it to win next year for its stellar second season), I won’t be completely devastated to see such an inventive show get the recognition it deserves. My Thoughts: This is the only Limited Series pick I’m going to make this year because I’m woefully uneducated about the nominees, and that includes this iteration of American Crime Story. Although I only watched the first few episodes because it was too disturbing and violent for my taste, I knew it was a shoe-in for this award and pretty much any others it was going to be nominated for (including the career-redefining work Darren Criss did in a role that literally gave me nightmares). I can appreciate art without having the stomach to consume large amounts of it, and The Assassination of Gianni Versace was a true work of art.